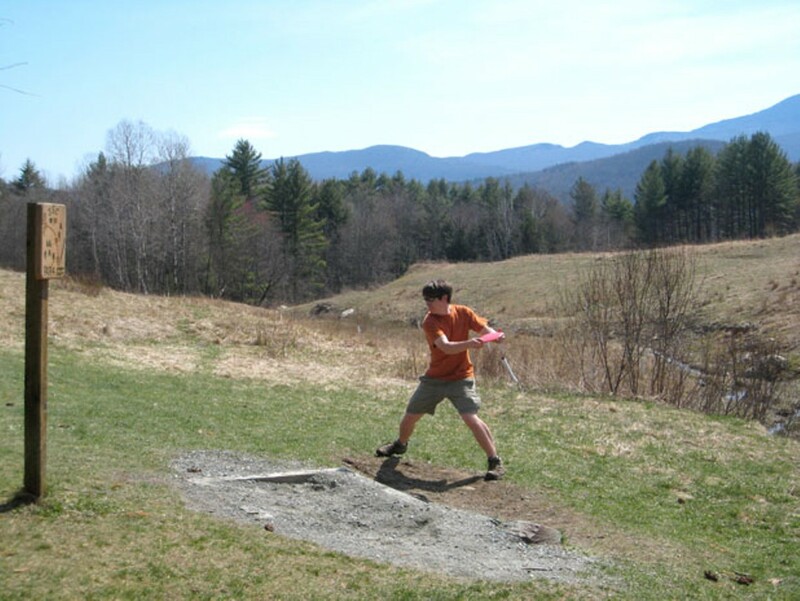 The debate over the Leddy Park disc-golf course rages on. So what exactly is the BFD? To get to the bottom of the debate, Seven Days did the logical thing. We went disc golfing. On a recent Saturday afternoon, Johnson State College students Adam Bagdon, 22, and Justin Frawley, 20, guided a complete newcomer to the game through the school’s course. Over 18 holes and several hours, the Outdoor Education majors and avid disc golfers — both claim to play several times per day — gave us a crash course in the game. What follow are our admittedly opinionated findings, presented FAQ-style. So, what the hell is disc golf? Great question. Simply put, disc golf is just like regular golf, but with different equipment. Instead of clubs and balls, players use Frisbee-like plastic discs, which they attempt to throw from a “tee area” into a “hole” — the latter is typically a pole with a large metal basket attached — with the smallest number of throws possible. The scoring system is identical to that of golf — think “birdies” and “bogeys.” Each hole is assigned a “par,” which is the number of throws it should take the average player to complete it, from tee to basket. As in golf, the fewer shots you have to attempt, the better your score. The sport has been around “officially” since 1975, although early variations of the game are said to predate the Frisbee itself. There are currently more than 3000 disc-golf courses in the country and many more around the world. Well, it sounds interesting. Can anyone play? Pretty much. Says Bagdon, “As long as you can throw a Frisbee, you can play disc golf.” The sport is rapidly growing in popularity with players of all ages, backgrounds and physical abilities. Plus, it’s much less expensive than traditional golf. And you don’t have to wear plaid pants. For very basic play, just one disc. Most players use a combination of several, just as golfers use different clubs for different shots. Heavier discs that fly longer distances resemble drivers. There are also midrange discs and “putters,” discs designed specifically for short-range throws. You can purchase discs at most sporting-goods stores and, of course, online. No less than regular golf. And you’d be hard pressed to find a disc golfer driving a cart from tee to tee. An 18-hole course can be as large as 40 acres, so there’s certainly some low-impact cardiovascular exercise involved. Bagdon estimates the Johnson State course is about a mile long from start to finish. It covers a variety of rolling terrain, taking players up and down hills and over a small stream. Is it really dangerous? I mean, they’re just Frisbees, right? That’s the thousand-dollar question, and a key component of the argument against a Leddy Park course. Any physical activity inherently carries some degree of risk. In disc golf, the most dangerous outcome is being hit by a disc. In disc golf these are typically heavier and harder than the average Frisbee. And when they hit you, they hurt. Depending on the severity of the impact — range, velocity, etc. — bruises and even stitches could result. A recent Daily Nebraskan reports that a woman at Kansas State University suffered “serious nerve damage” when she was struck by a disc on campus. However, not only is this an unusual case, but KSU had no “official” course at the time, and students were essentially making it up as they played. With no identifiable boundaries, the course meandered through unsuitable and densely populated areas of campus, which led to instances of personal injury and property damage. The sport has since been banned from campus during high-traffic hours. “They can really come out of nowhere,” says Frawley of wayward discs. He and Bagdon say they have heard of only a couple of very minor injuries occurring at the Johnson course, which is clearly defined and avoids areas of high pedestrian traffic. One of those accidents happened during a nighttime tournament and involved a black disc and some college-style shenanigans. Still, both golfers admit that errant tee shots occasionally buzz passing cars on the eighth hole, which skirts the main road into the college. Is it a loud game? Quite the opposite. On the day our reporter played the Johnson course, Bagdon estimates course traffic was “average to below average.” But even more crowded sections of the course were no louder than an average walking trail (or, perhaps, a golf course). Chances are, most games are much quieter than Tuesday’s public hearing on the subject. Like golf, disc golf requires a great deal of concentration, especially when players are navigating treacherous terrain or tricky wind conditions. With the inevitable exceptions, they respect each other’s space, and ears. “Most people are really respectful and friendly,” claims Bagdon. In any case, the hubbub from a lacrosse match on the neighboring athletic field drowned out most disc-golf noises on this particular day at JSC. Leddy Park has numerous ball fields, all in frequent use, so one might expect a similar dynamic there. True, some might find the rattle of the chains that absorb the disc’s impact somewhat grating. This is the other big argument against a Leddy Park course. As we stroll through the heavily wooded lower six holes — the original course was 12 holes — Bagdon points out a tree marred with nicks and, in some cases, deep gashes from disc impacts. “It’s kind of unavoidable,” he says. We notice several equally banged-up trunks along the route. A wooded course requires some degree of underbrush clearing. And areas around holes would most likely see increased foot traffic as golfers retrieved errant shots, evidence of which can be seen on the JSC course. However, the area — mostly wooded with white pines — is otherwise pristine and feels as natural as any number of walking paths. This is doubly impressive when one learns that players, not the school, serve as its stewards. We encounter bottles at only one hole; Bagdon disposes of them in a bucket. Players are responsible for emptying the few trash cans along the course, as well as the recycling bins. “We could probably make enough on deposits to buy a new disc,” Frawley says with a grin. I take it alcohol consumption is, um, par for the course, then? Having played beer-league softball at Leddy Park, our reporter nods in agreement. So ... what’s the big freakin’ deal? This is just one of our stories that will help you feel your best. 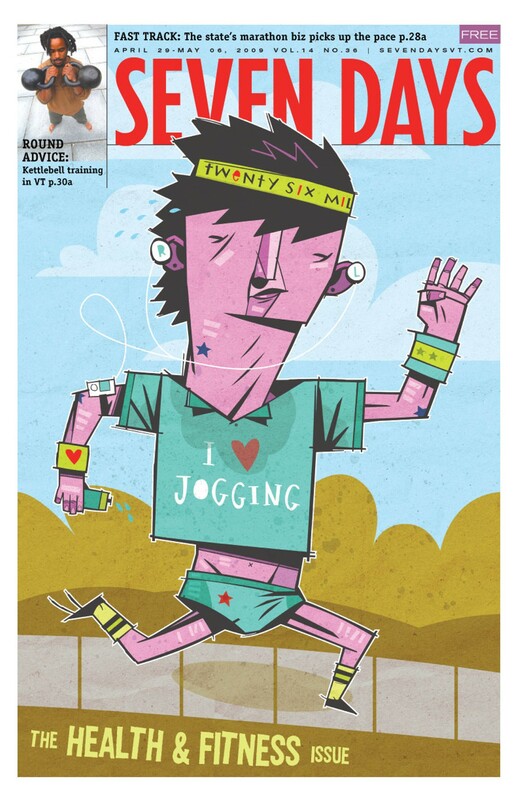 Click here for more from the April 29, 2009 Health and Fitness Issue.